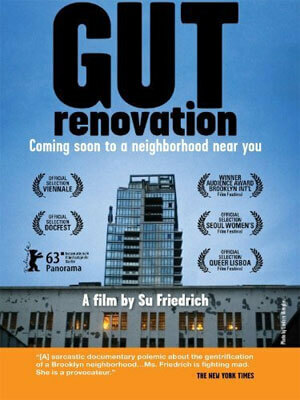 Avant-garde filmmaker Su Friedrich will visit NIU at 9 p.m. Wednesday, Nov. 4, in the Cole Hall auditorium. Friedrich has made 23 films since 1978, in 16mm film and in digital video, both short-, medium- and feature-length, which range from experimental to documentary to narrative. Her films, which deal with themes of gender, family and identity, have received many awards and prestigious grants. In this career overview, Friedrich will spotlight four films that span her 37 years of work: “Gently Down the Stream” (1981), “Sink or Swim” (1990), “Hide and Seek” (1996) and “Gut Renovation” (2012). She will show short clips from each film and talk about their genesis and some of the primary formal and story concerns in each one. A question-and-answer period will follow. The event is sponsored by the Division of Research and Innovation Partnerships in collaboration with the Department of Communication. For more information, email rcaspersen@niu.edu.